Last year was one of the worst ever for the casino industry in Atlantic City. Since Atlantic City is the only part of the state of New Jersey where casino gambling is legal in its hey-day it was the second most popular gambling destination in the United States after Las Vegas. Las Vegas is still the leading land based casino destination in America but Atlantic City has lost its place and in the past year it also lost a quarter of its casinos. Four out of Atlantic City’s casinos closed in 2014. The Atlantic Club was the first to go. Caesars Entertainment closed its Showboat casino in August 2014 even though the casino was making some profit. At the time Caesars justified the closure by saying that it would ease competition facing the three other casinos run by the company in Atlantic City. The luxurious two year old Revel casino resort closed after a very short time in business. Revel cost 2.4 billion dollars to build but was for sale at a tiny fraction of that amount. The court case surrounding its possible buyer, Glenn Straub, is ongoing as he is not in agreement with the price set by the bankruptcy judge he wants to buy the property for only 87 million dollars. The Trump Plaza closed its doors in the autumn and its sister casino The Trump Taj Mahal owned by Trump entertainment Resorts was facing the same fate but has managed to stay open for the moment after the company reached an agreement with the investor Carl Icahn who owns most of the casino’s debt. So the Taj Mahal will stay open to players for another few months at least. A fifth casino to close? Atlantic City mayor Don Guardian is reported to have claimed at the end of 2014 that this year would see the closure of another casino bringing the number closed to five. 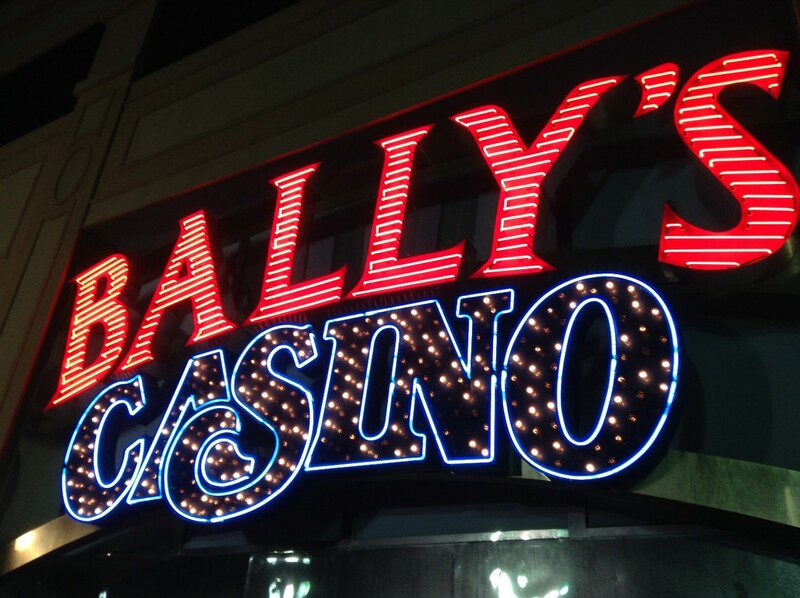 The Mayor didn’t name the casino he believes will close but it is thought to be Bally’s. 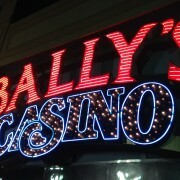 Bally’s Atlantic City which is owned by Caesars Entertainment. Caesars Entertainment still has three casinos in Atlantic City, Bally’s, Caesars Atlantic City and Harrah’s Atlantic City. Last autumn the company’s Chief Executive Officer Gary Loveman made a remark that Ballys needed to bring in some more money and this has sparked speculation that the casino resort may be the next to close. Ballys opened in 1979 and it now has two casinos within the complex giving it a 20 000 square metre gaming area. Caesars Entertainment is in serious financial difficulty and its subsidiary that owns Caesars and Ballys casinos in Atlantic City declared bankruptcy on the 15th of this month making it very likely that Ballys will be the next to close.